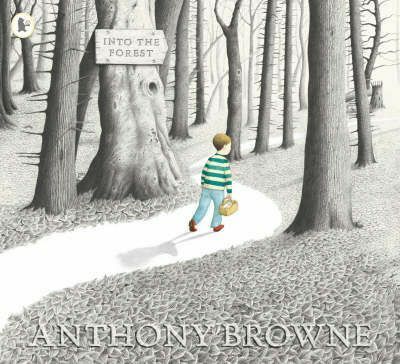 A shortcut through the forest to Grandma's house produces some eerie moments - and some oddly familiar characters - in a strikingly illustrated tale about facing fears.One night a boy is woken by a terrible sound. A storm is breaking, lightning flashing across the sky. In the morning Dad is gone and Mum doesn't seem to know when he'll be back. The next day Mum asks her son to take a cake to his sick grandma. "Don't go into the forest," she warns. "Go the long way round." But, for the first time, the boy chooses to take the path into the forest, where he meets a variety of fairy tale characters.